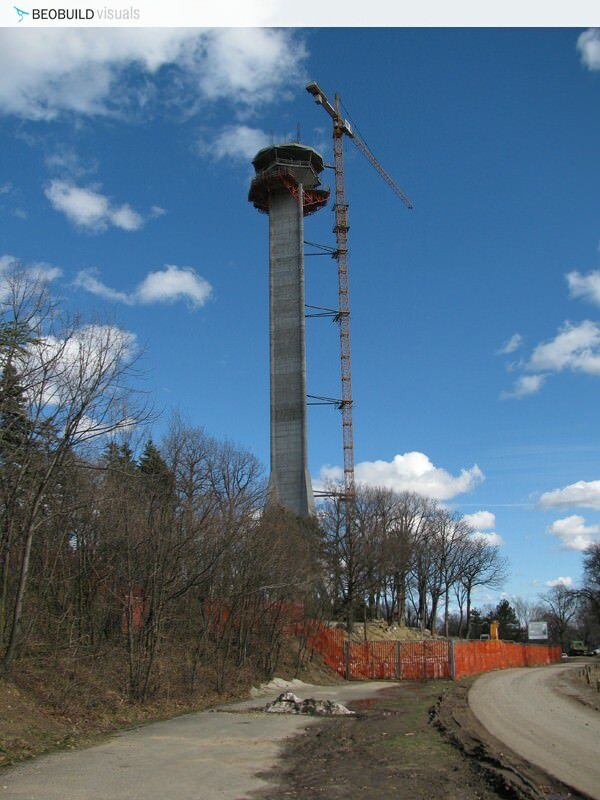 On 29th April 1999. during the NATO aggression, tower was destroyed. 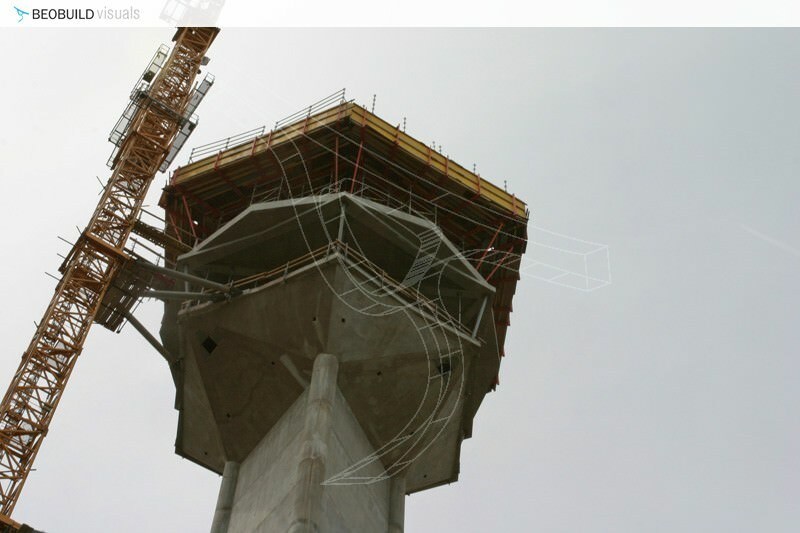 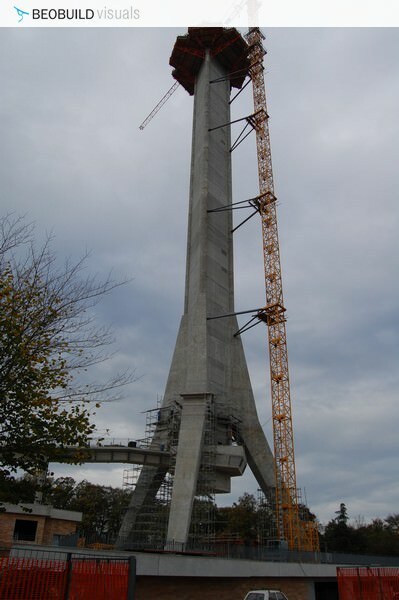 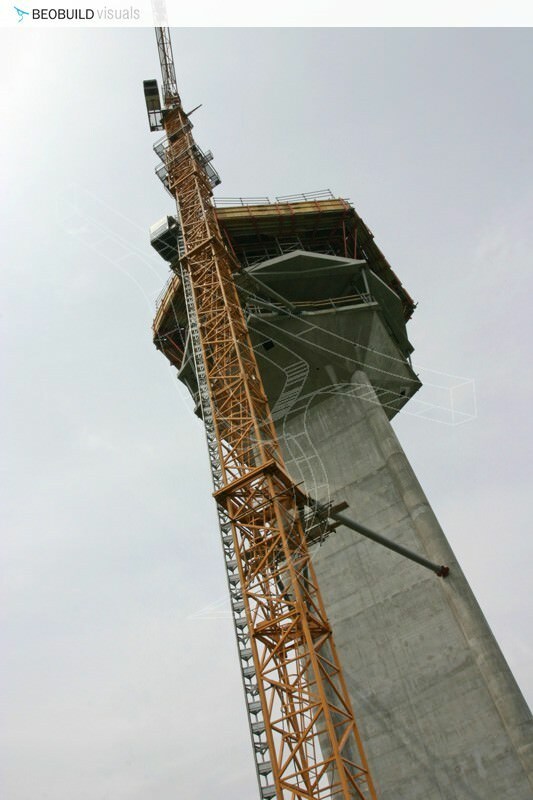 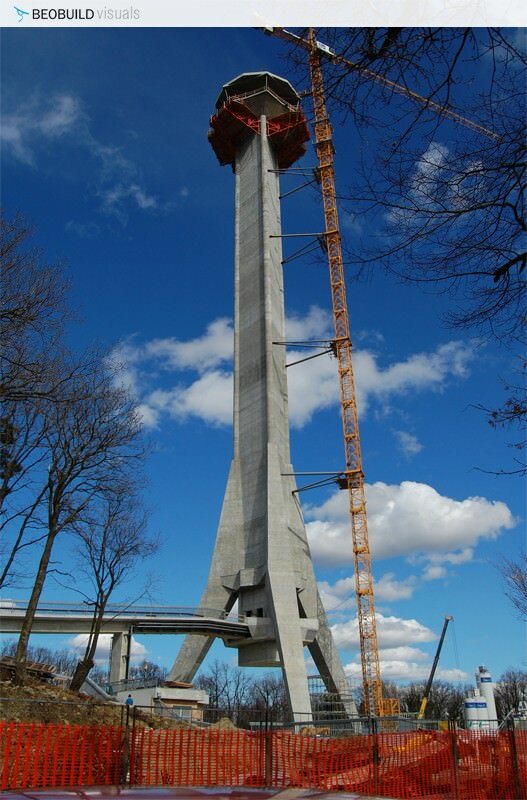 After complex was cleared of wrack in 2005, work on the construction of a new tower started on 21. december 2006. 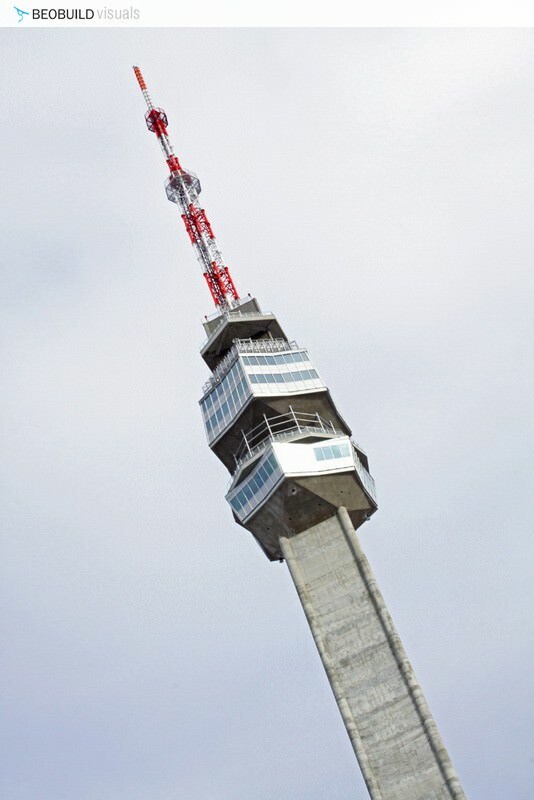 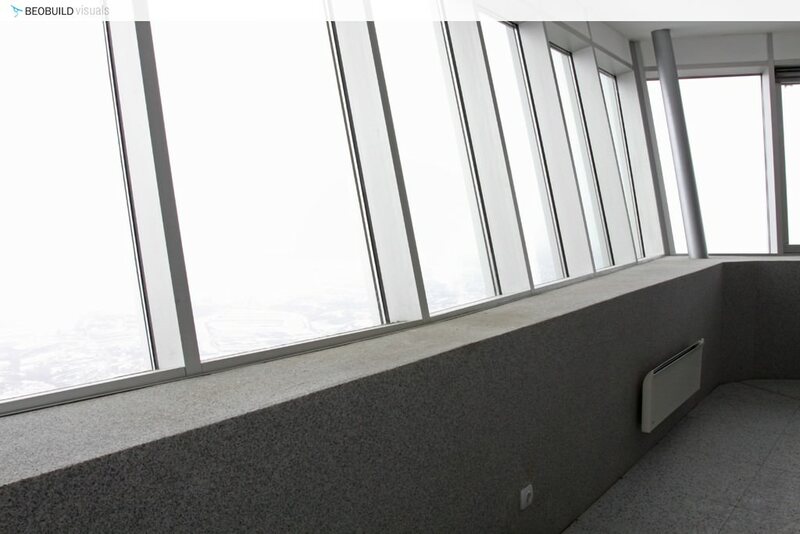 The old tower was 202, 87 meters tall and it was built between 1960 and 1965. 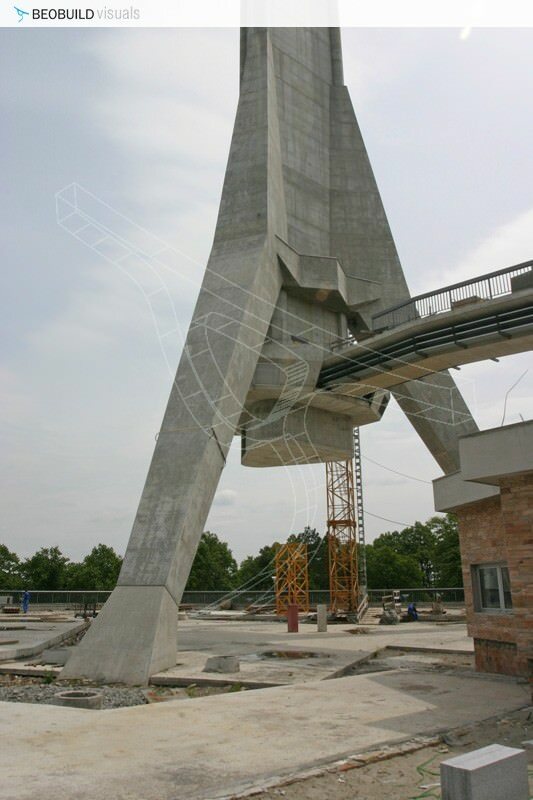 Authors of that project were architects Ugljesa Bogdanovic (deceased in 1994), Slobodan Janjic as well as the constructor academic Milan Krstic. 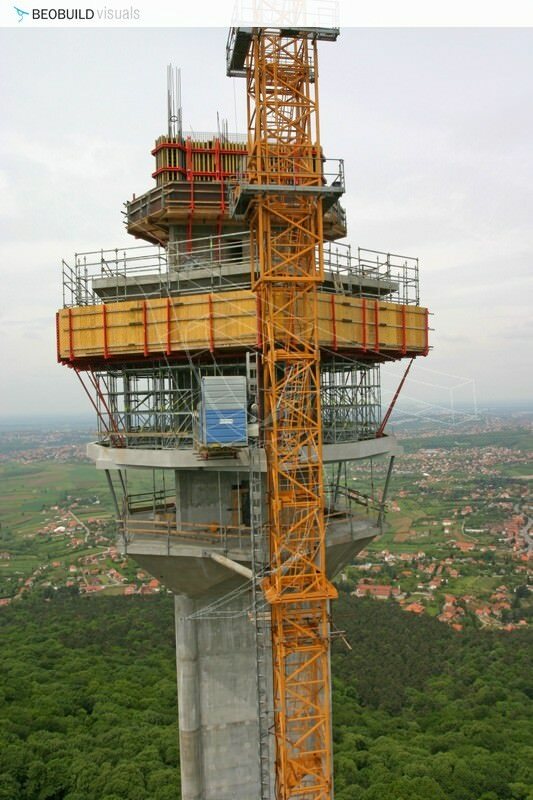 Tower was then constructed by Serbian construction giant – company ‘Rad’. 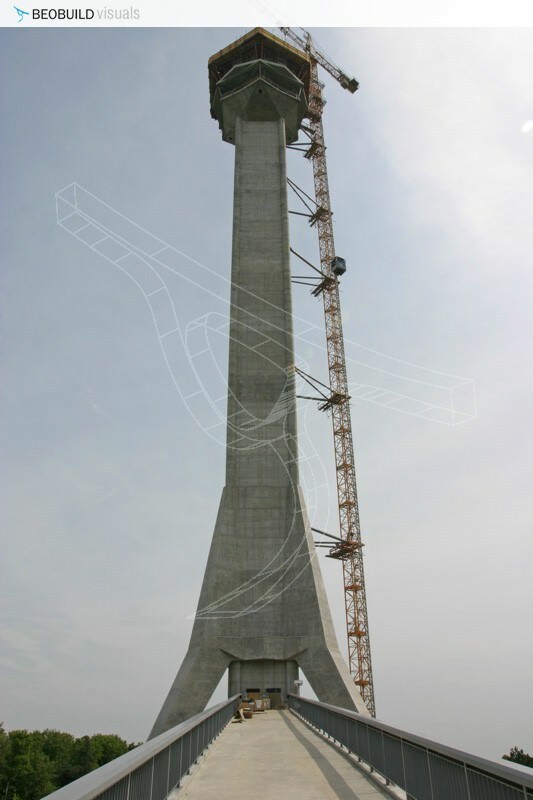 Old tower was constructed in 4 years. 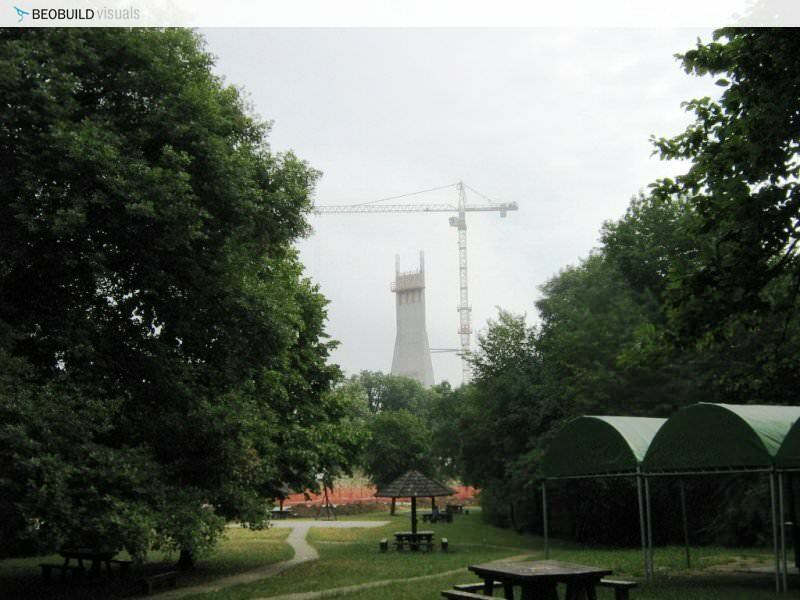 The new tower will seemingly be the same, but not everything will be as it was. 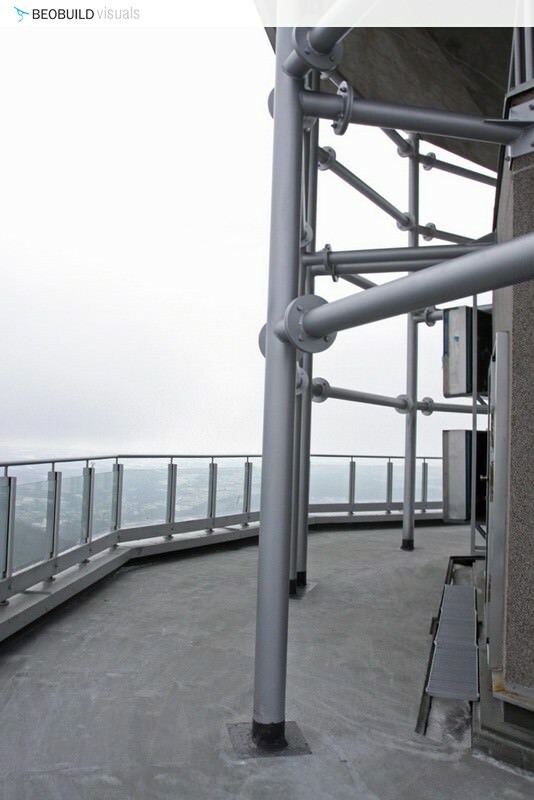 New and different antenna will be installed. 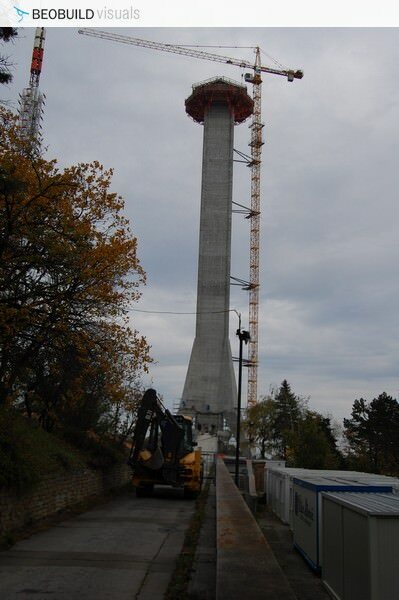 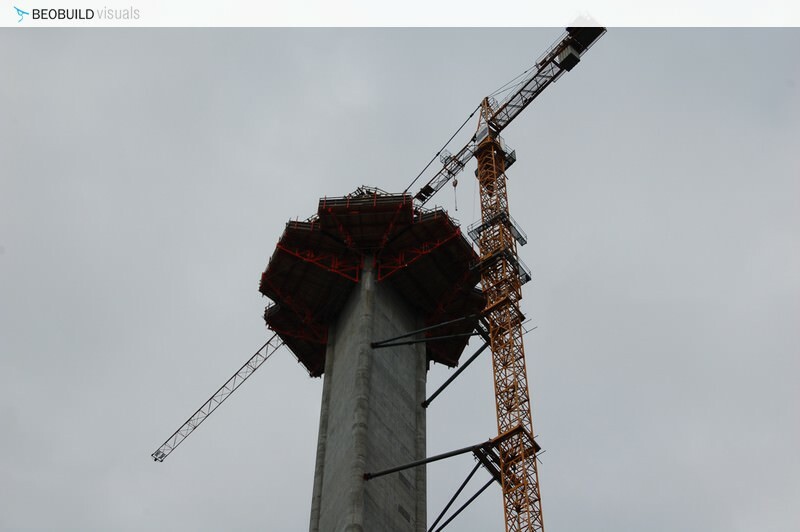 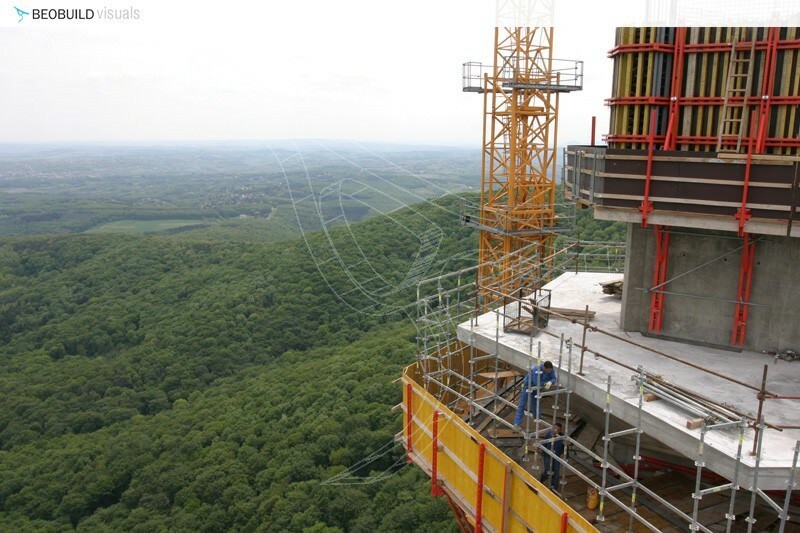 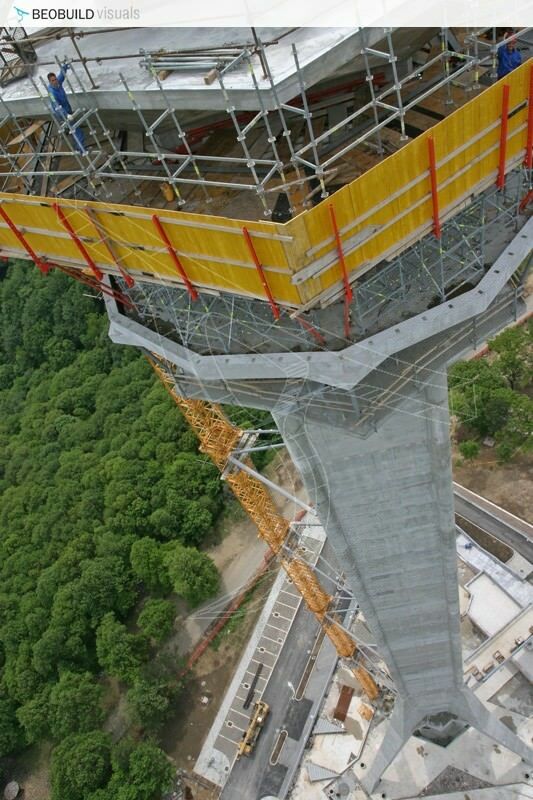 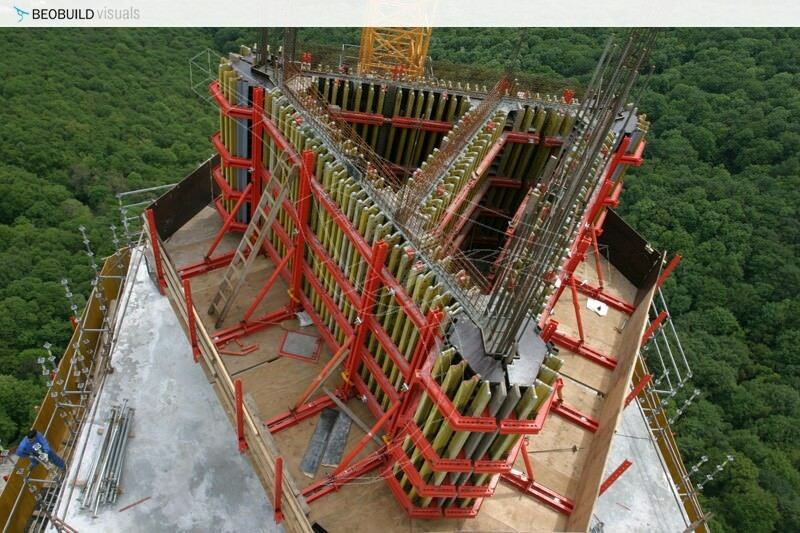 It will be a bit bigger so the new tower will have 205 meters. 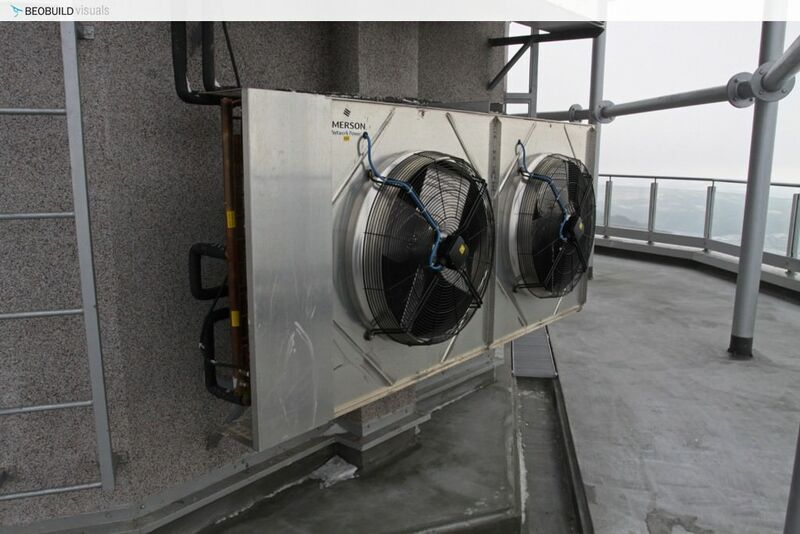 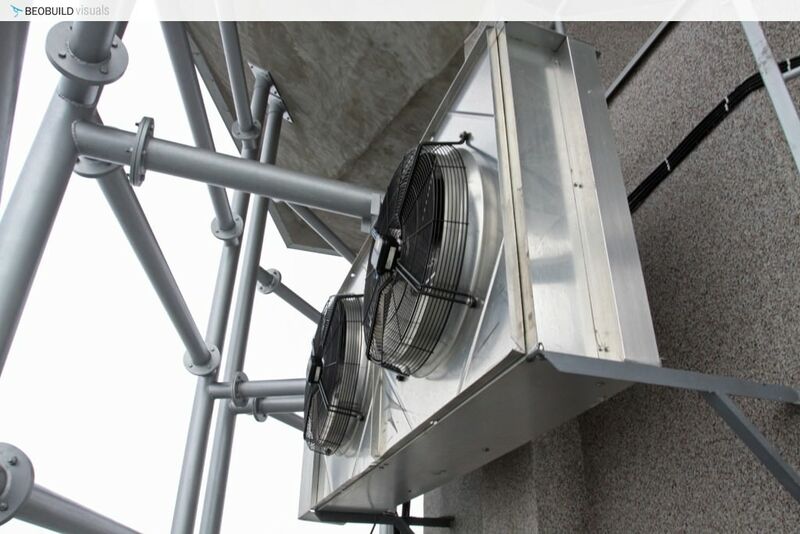 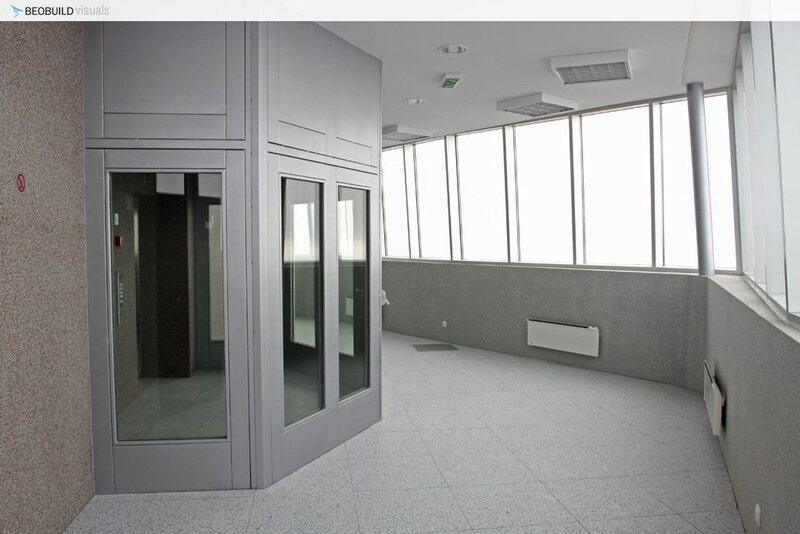 Also comletly new technology of construction and materials will be used and a new fire protection system will be there, all by project of CIP Institute. 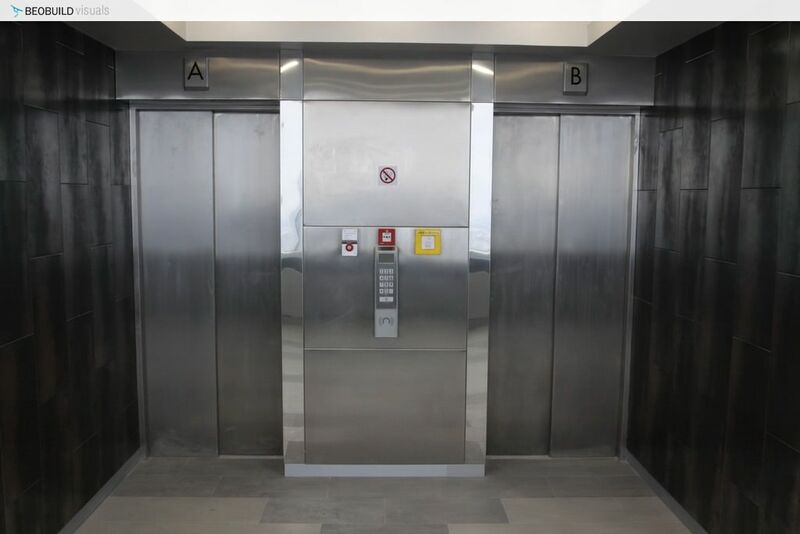 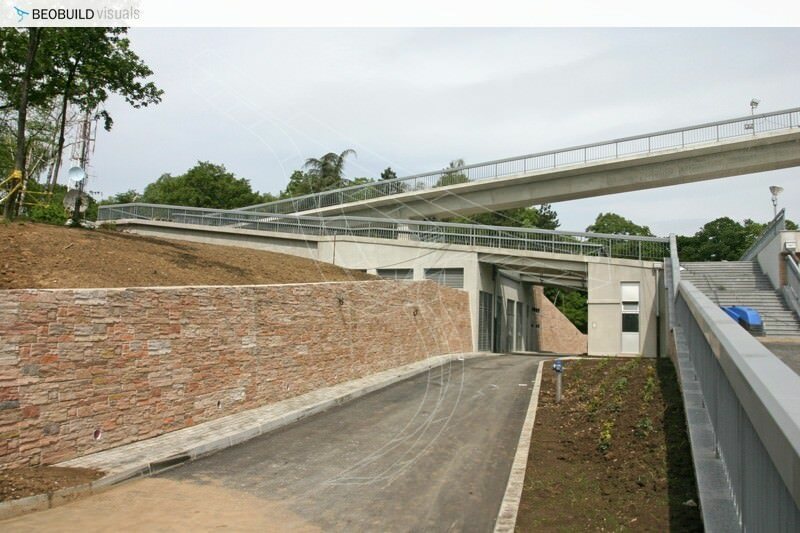 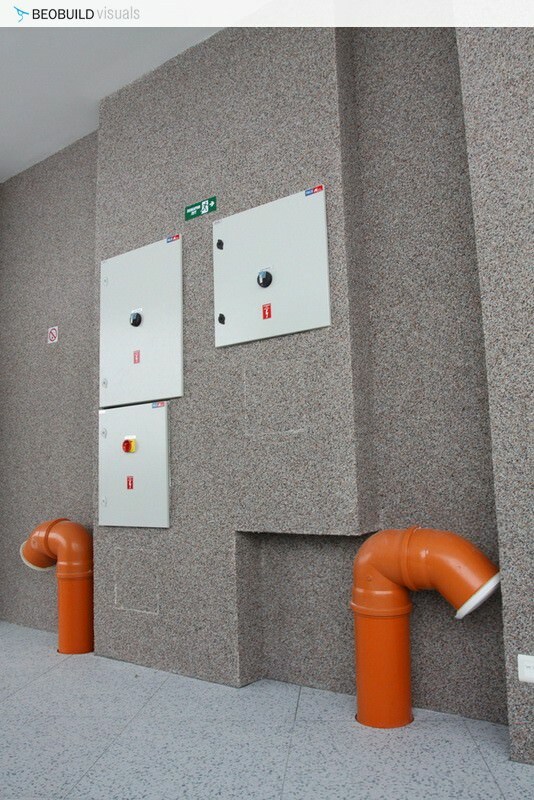 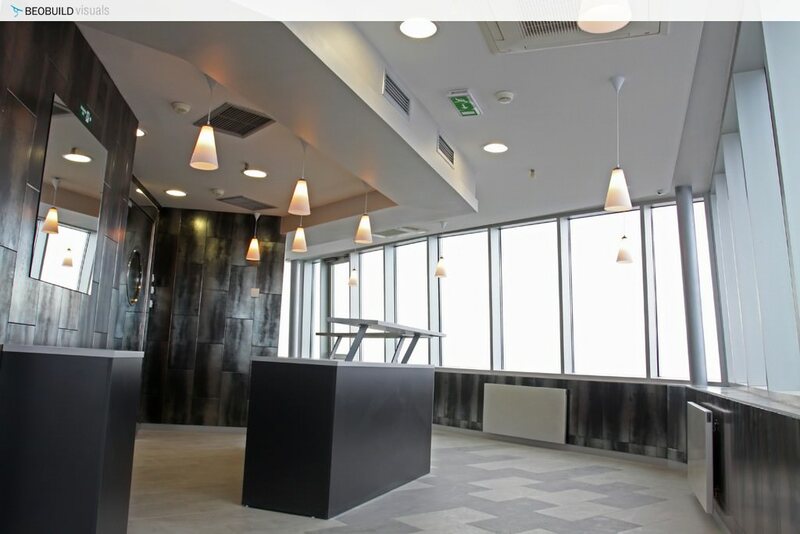 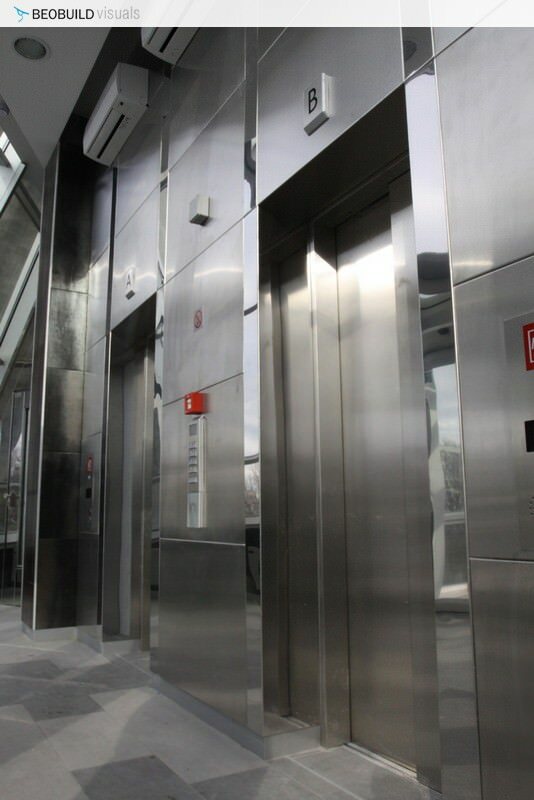 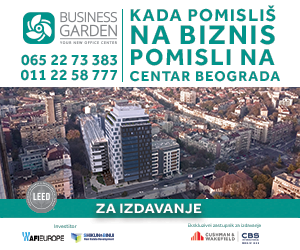 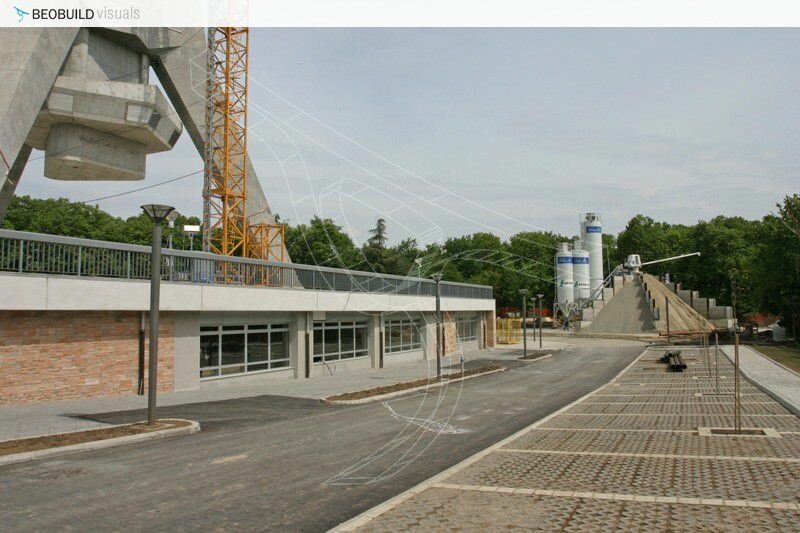 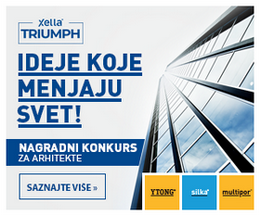 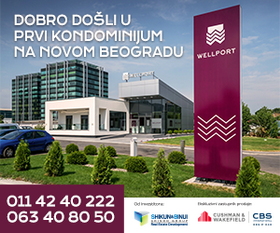 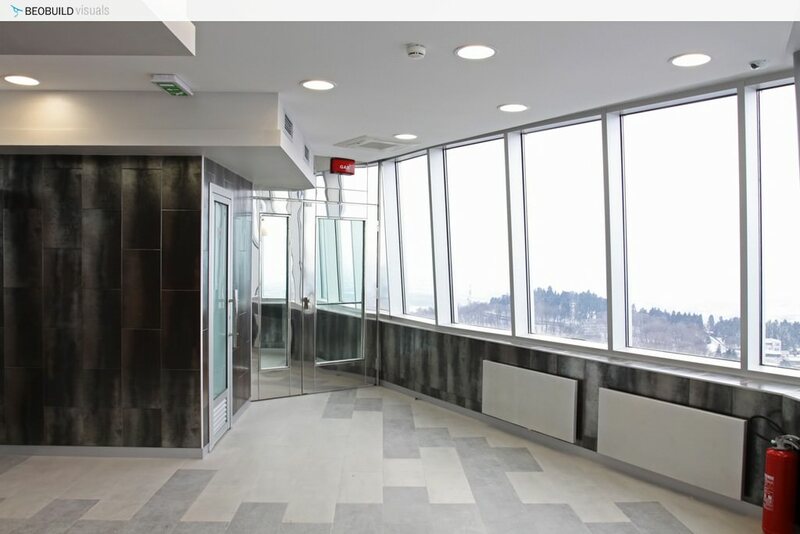 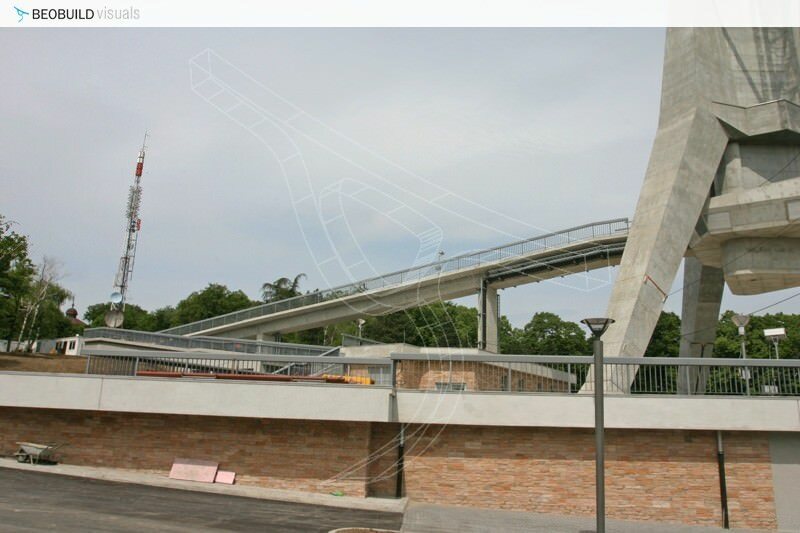 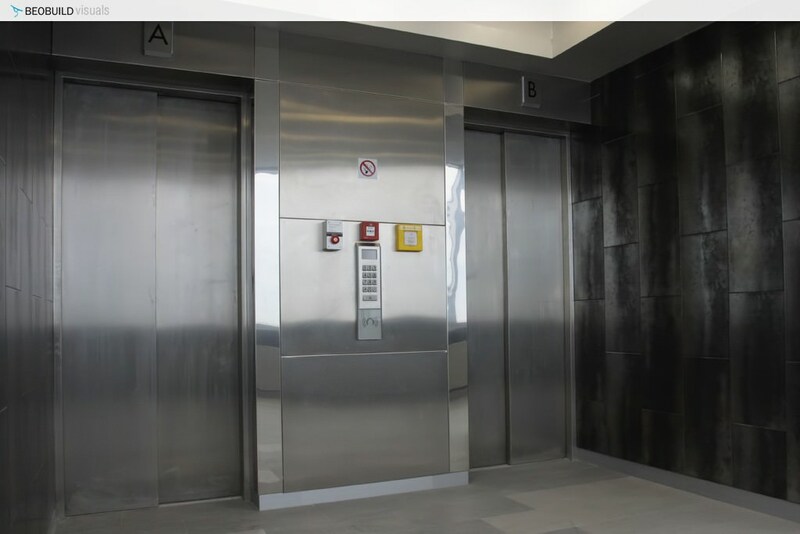 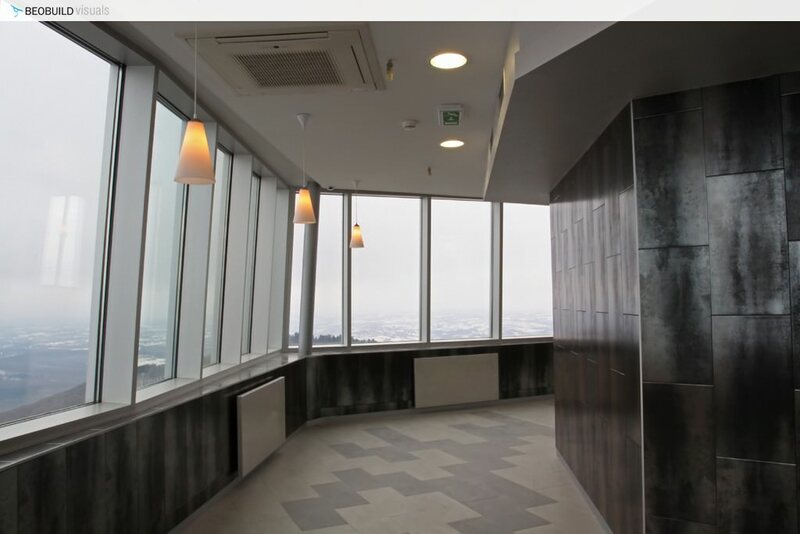 The investors of this project, Republic Property Agency and RTS(Serbian Broadcasting Corporation), will pay 7 million euros for comletion of it. 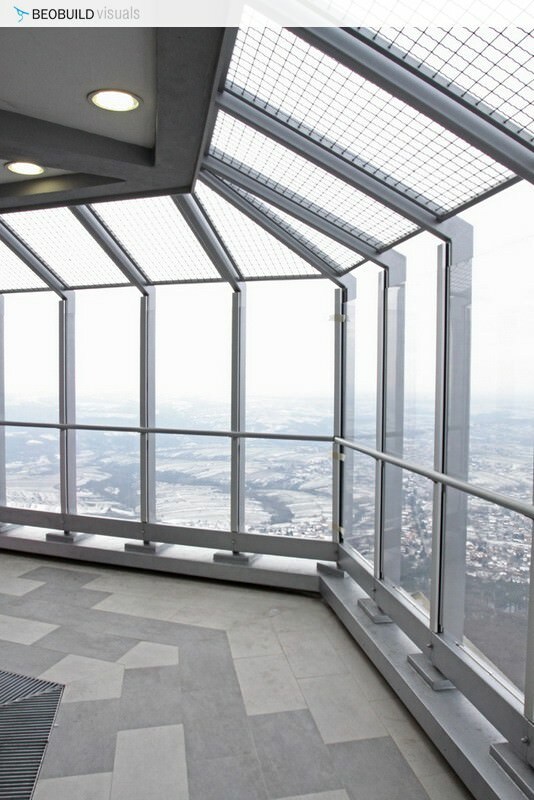 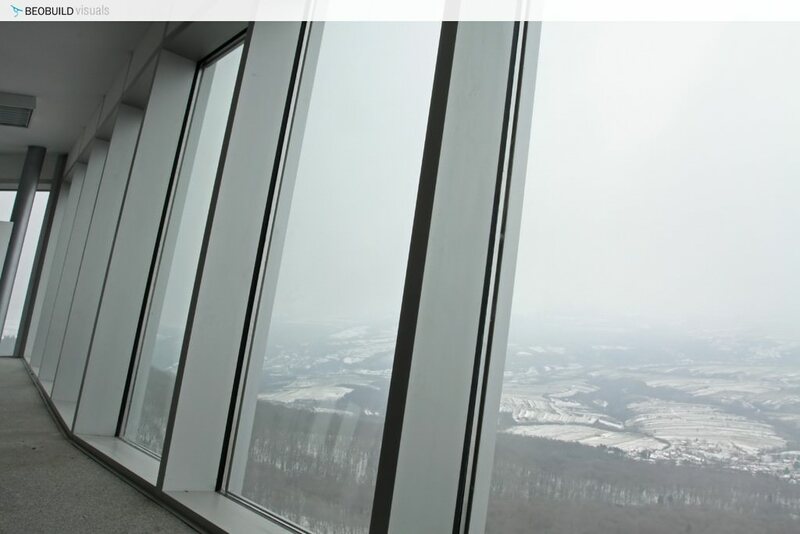 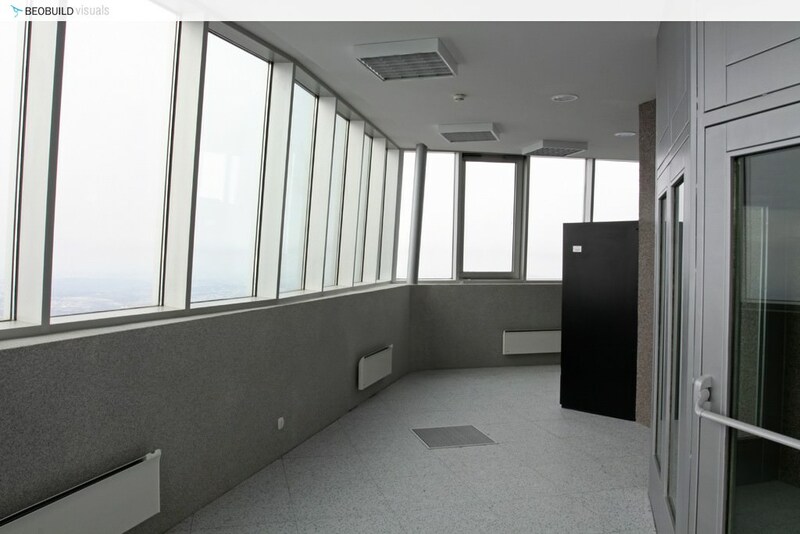 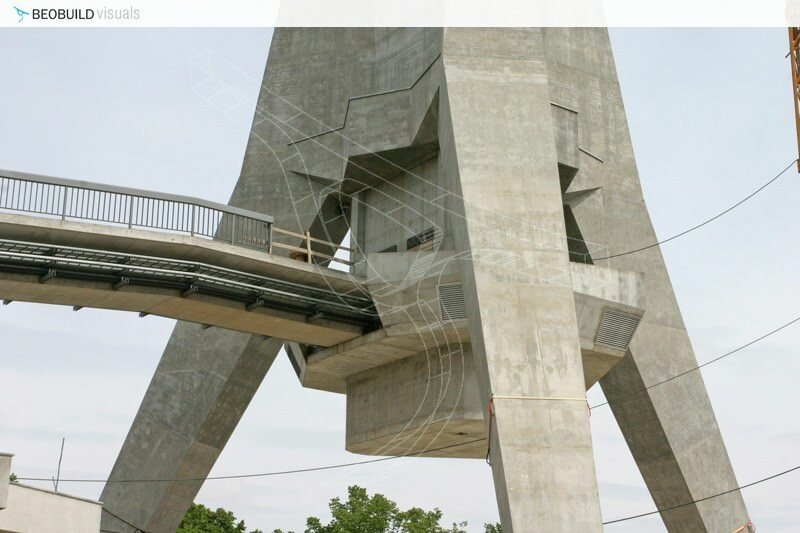 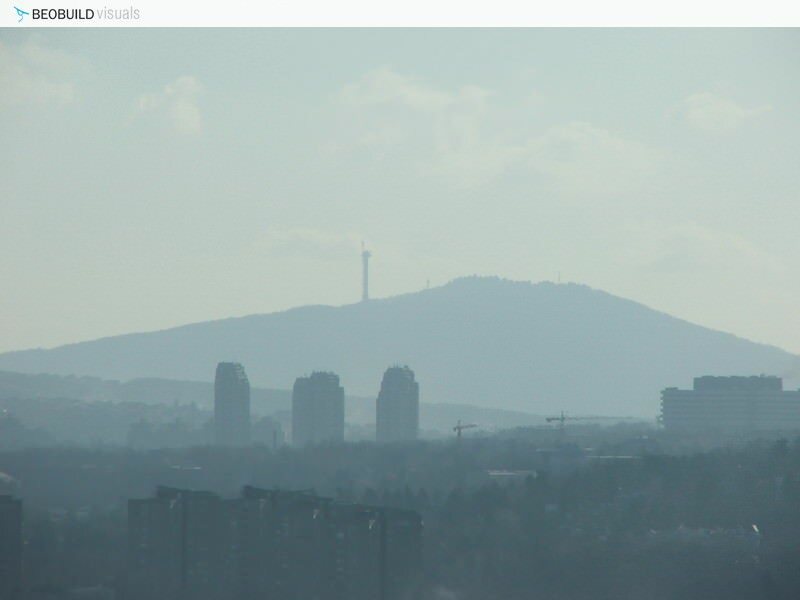 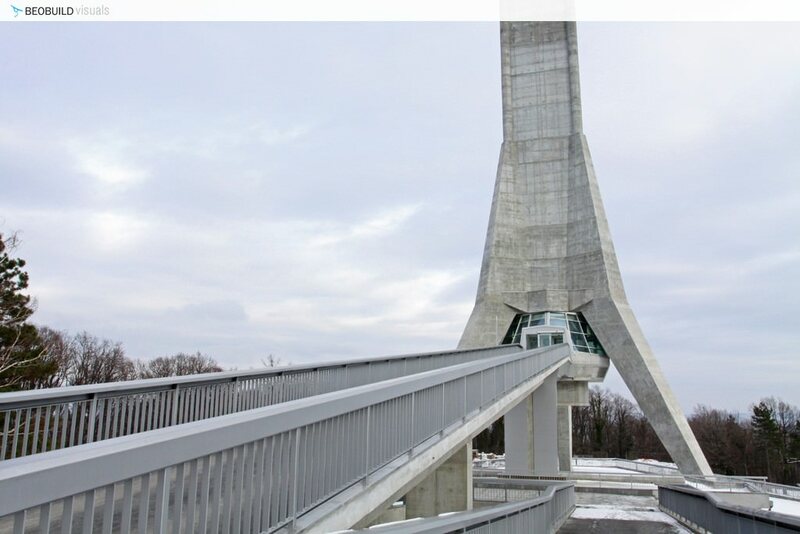 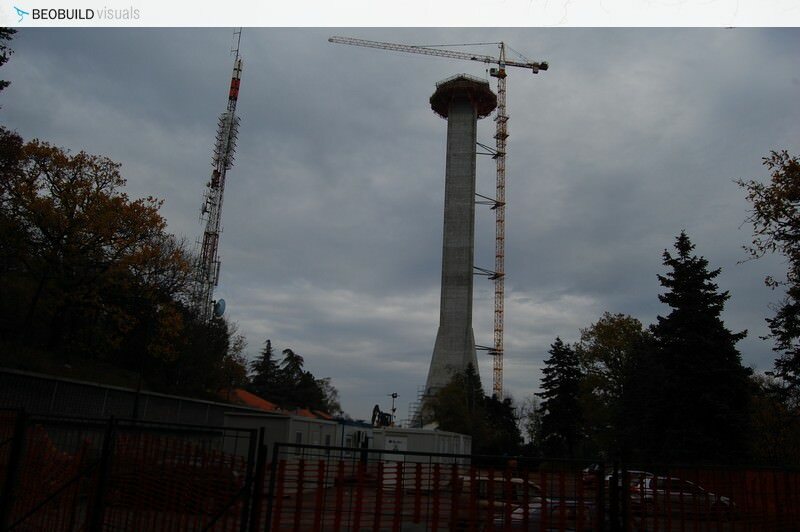 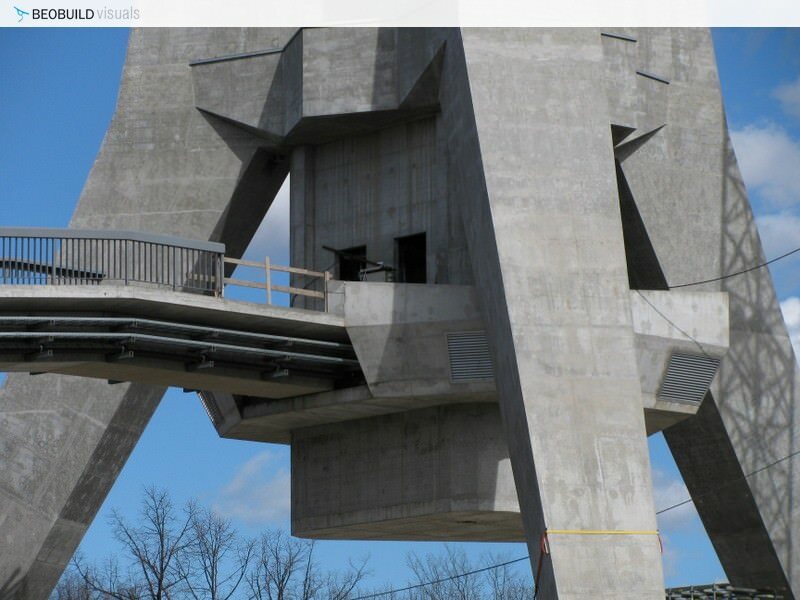 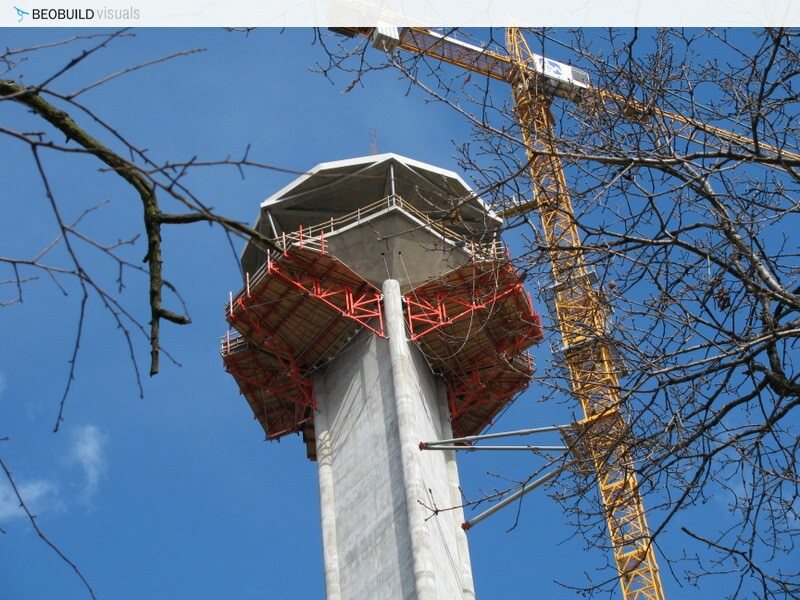 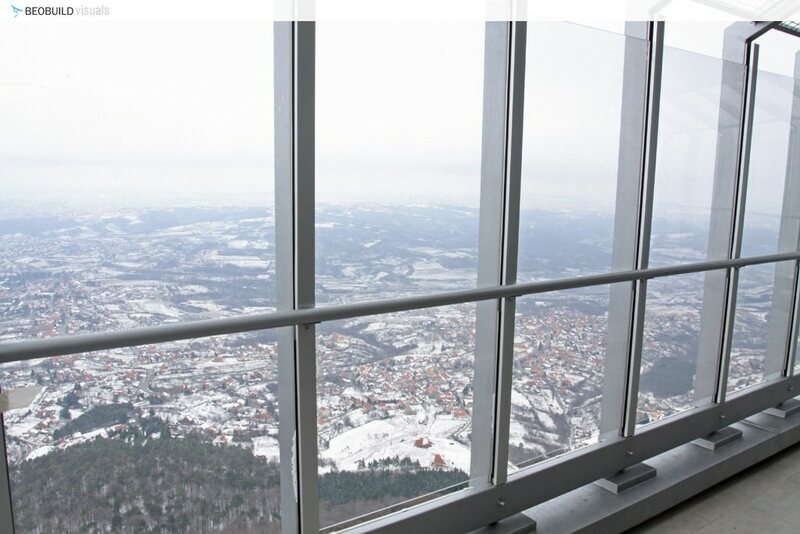 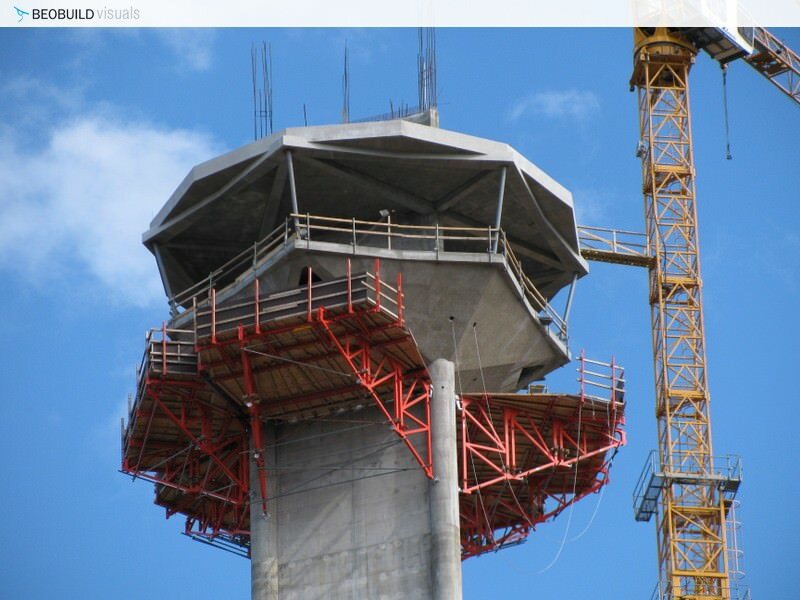 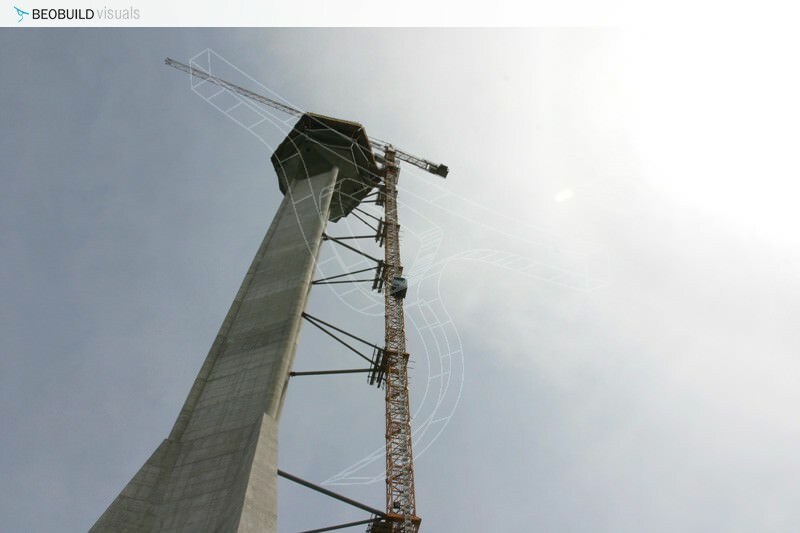 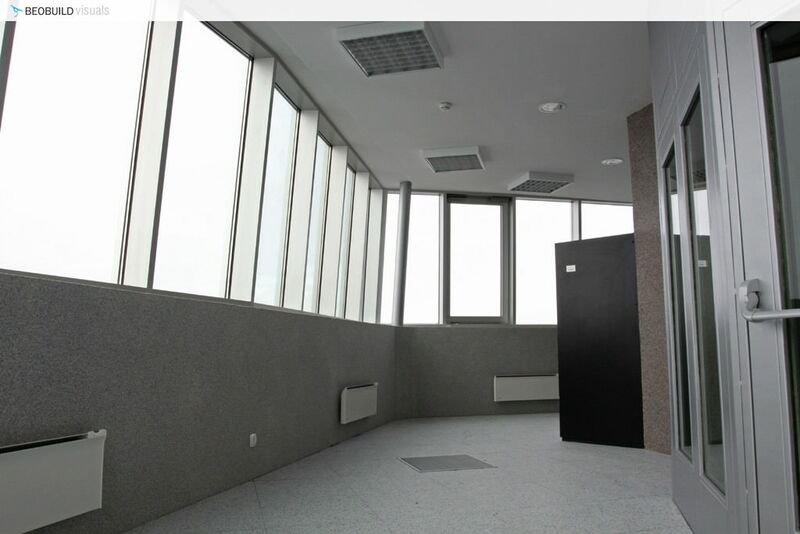 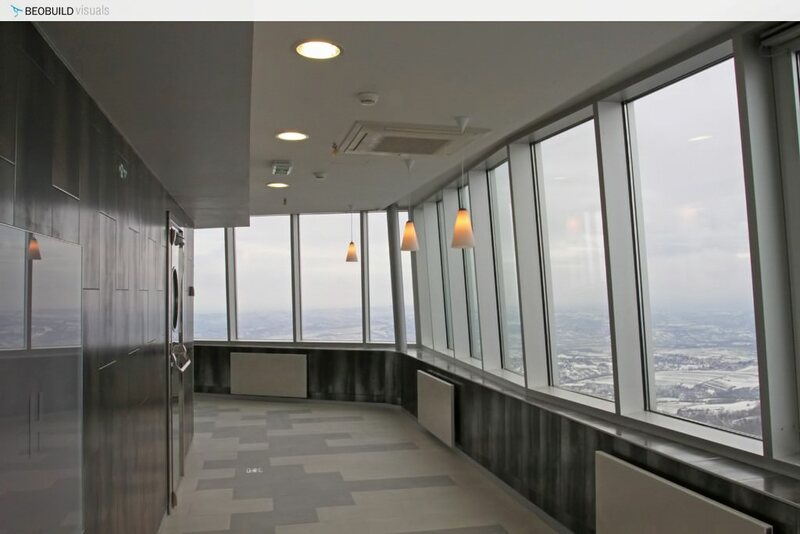 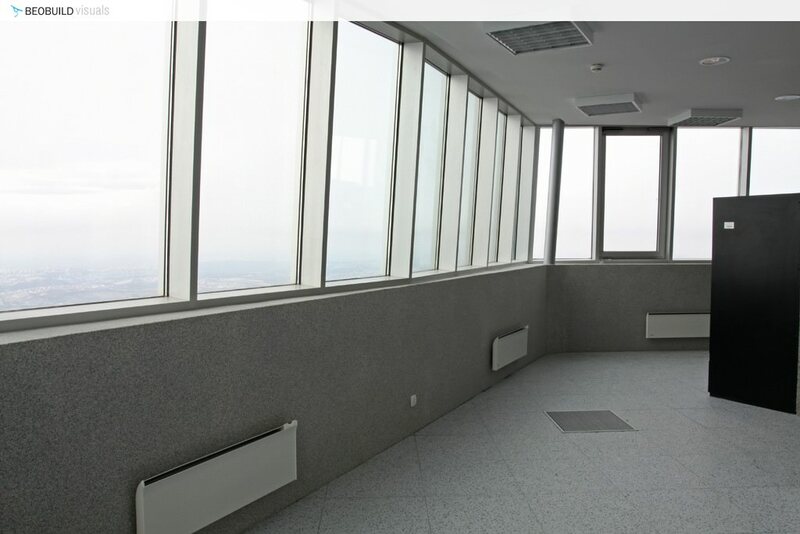 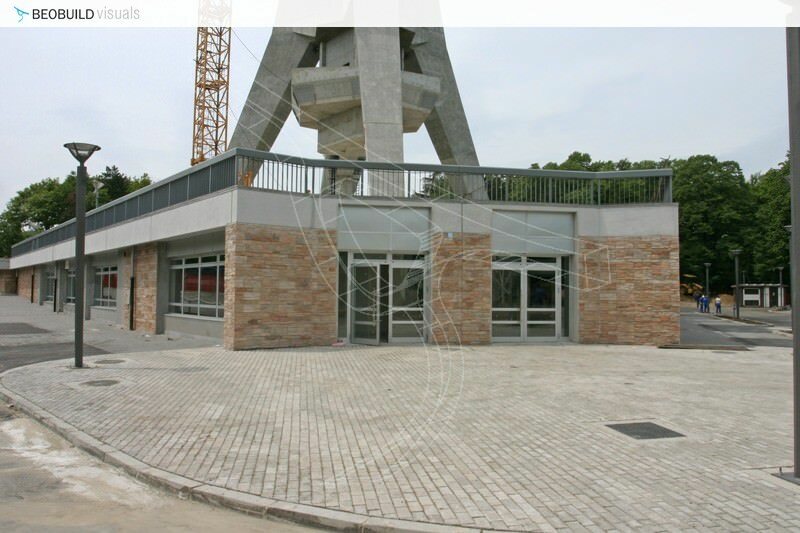 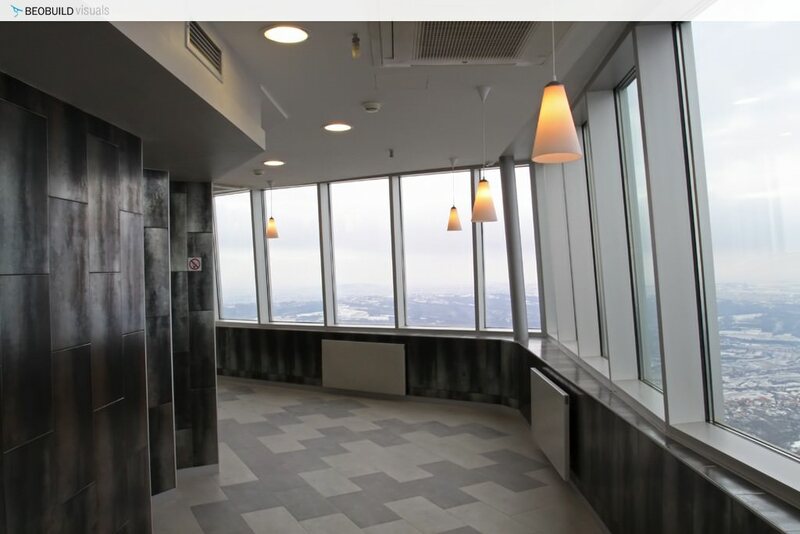 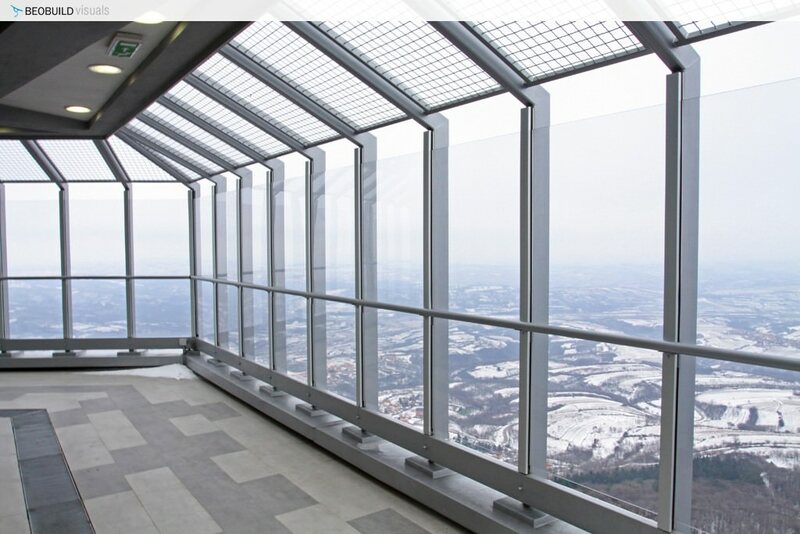 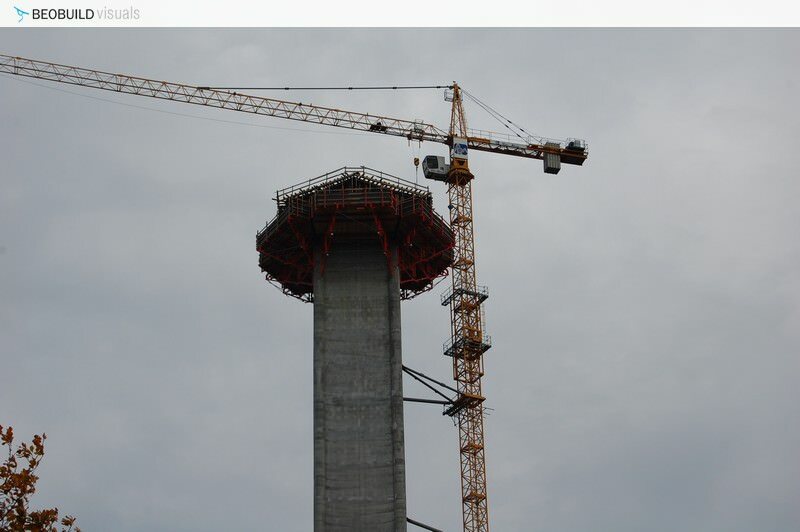 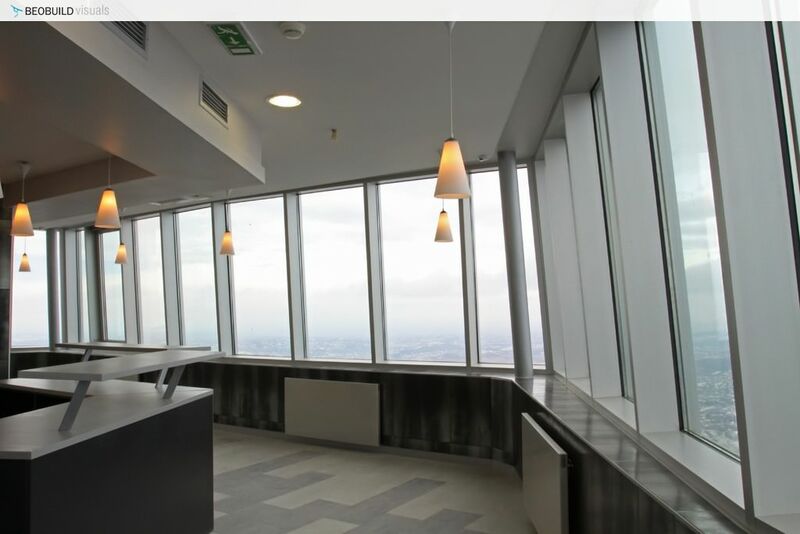 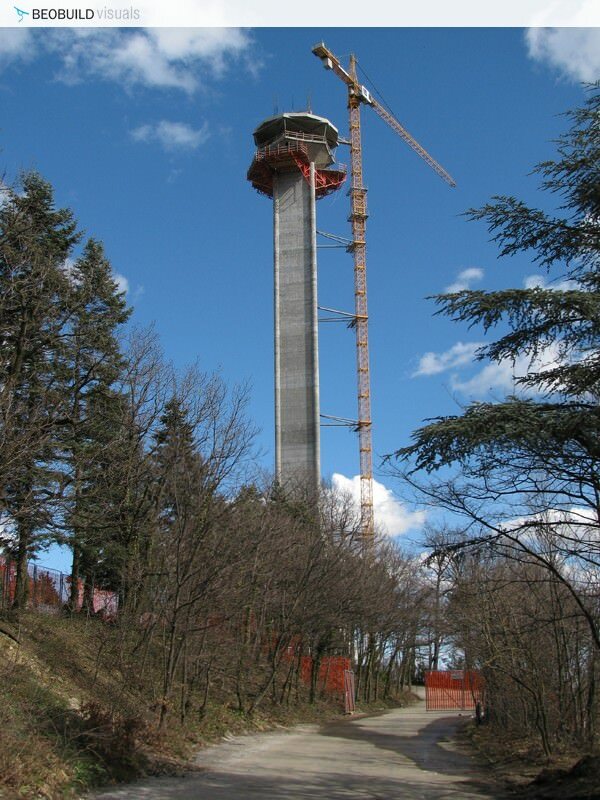 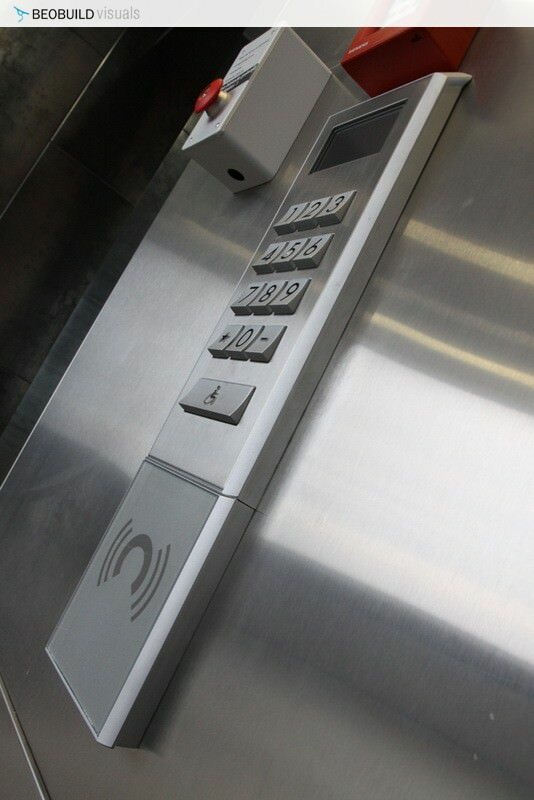 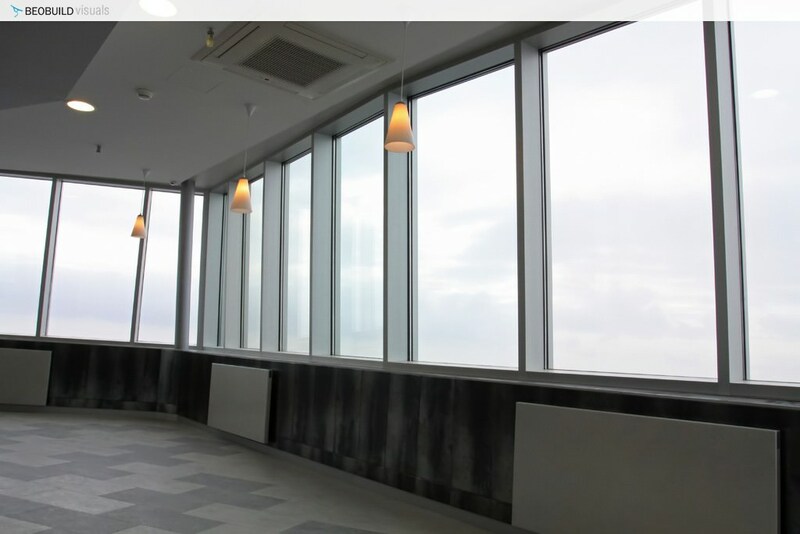 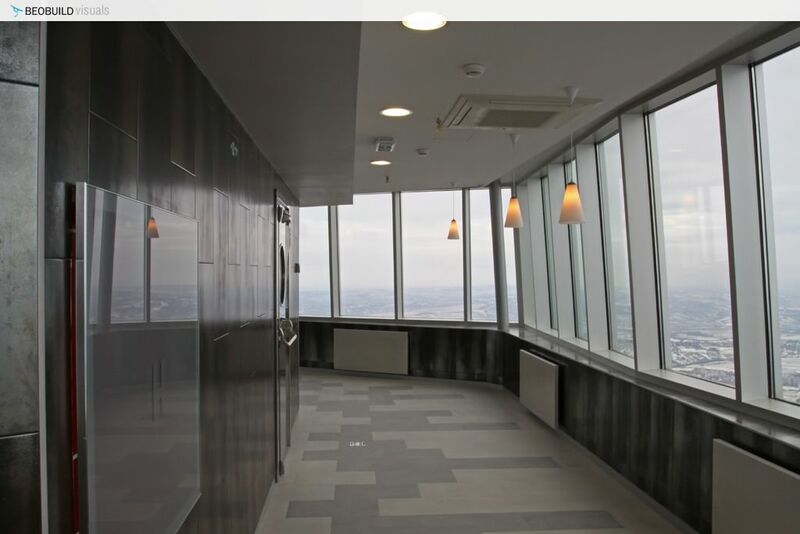 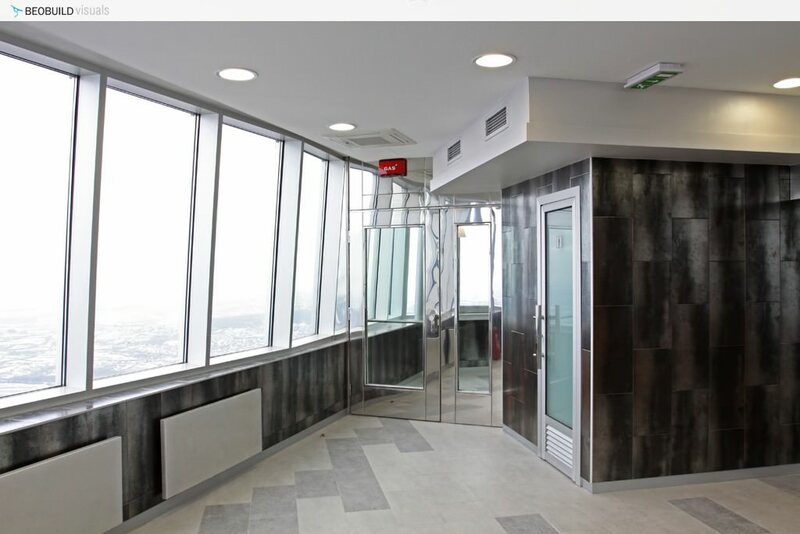 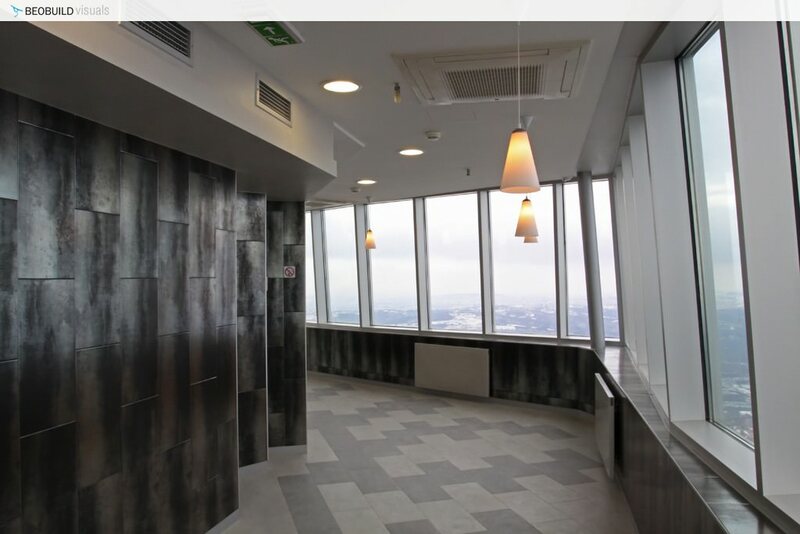 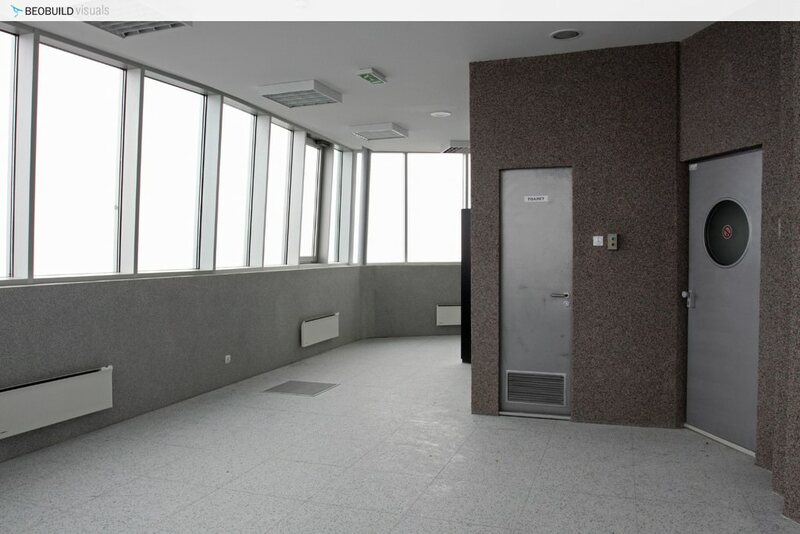 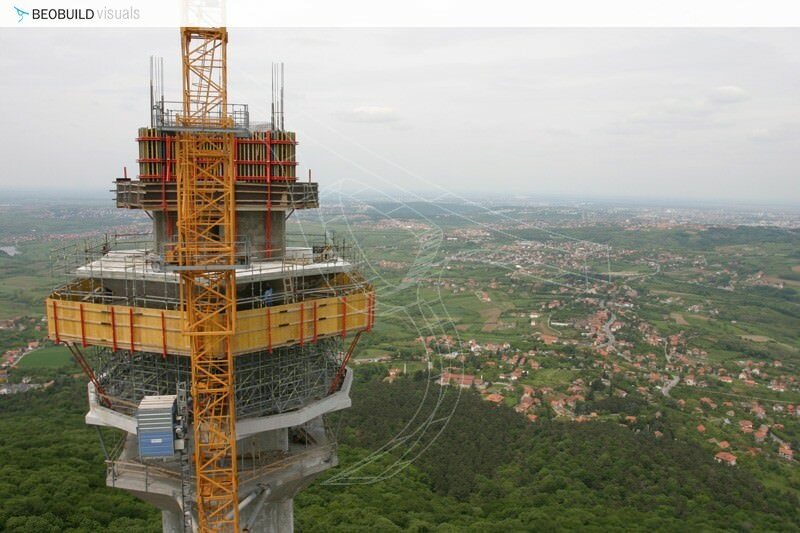 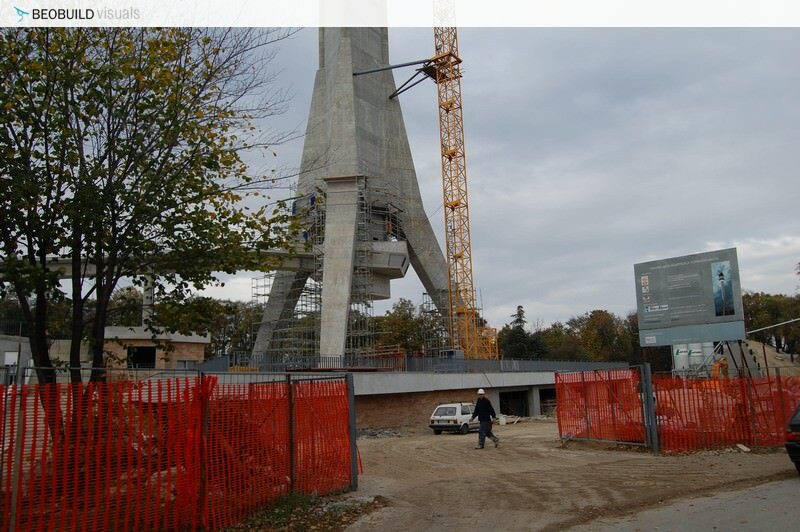 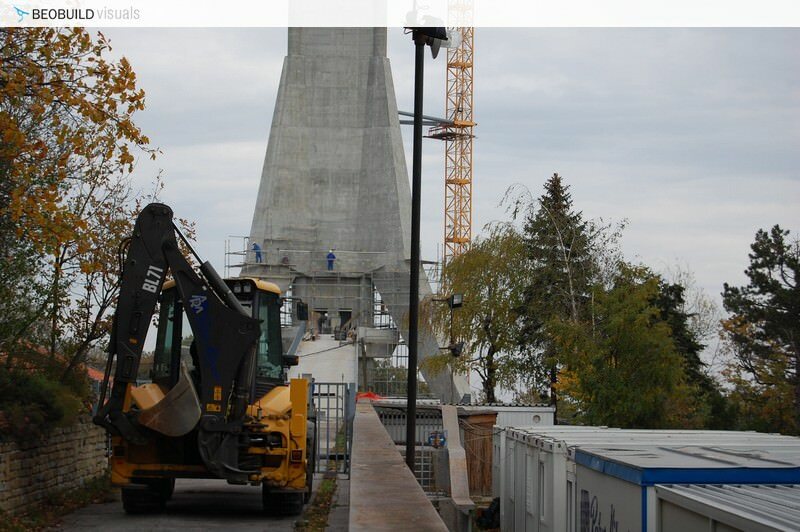 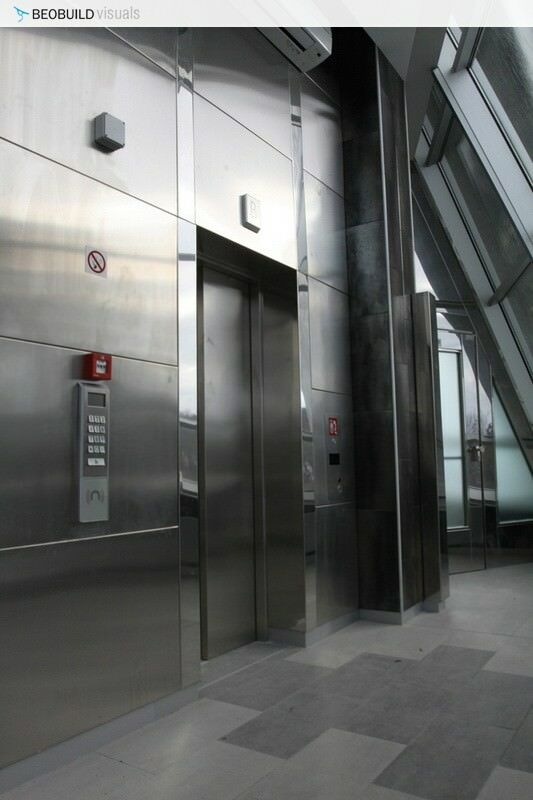 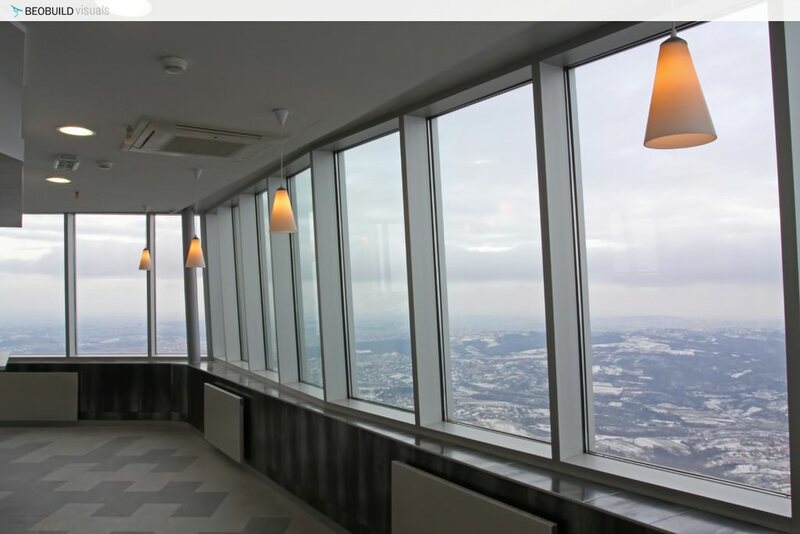 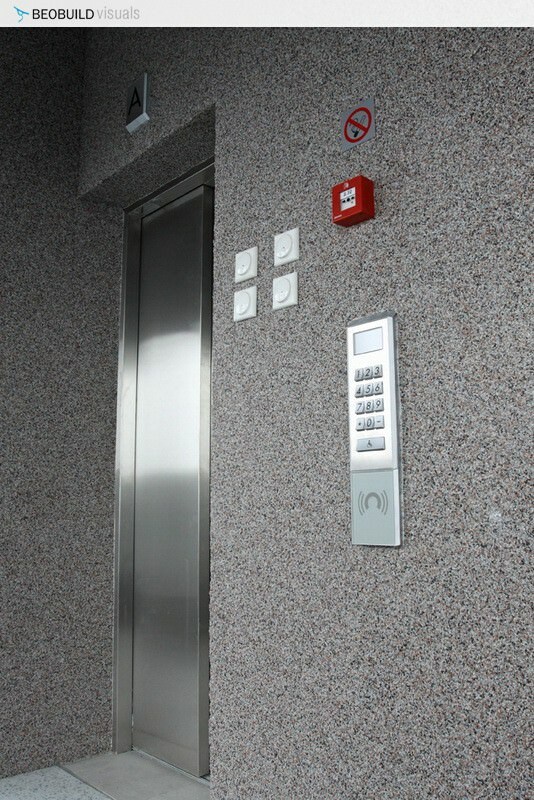 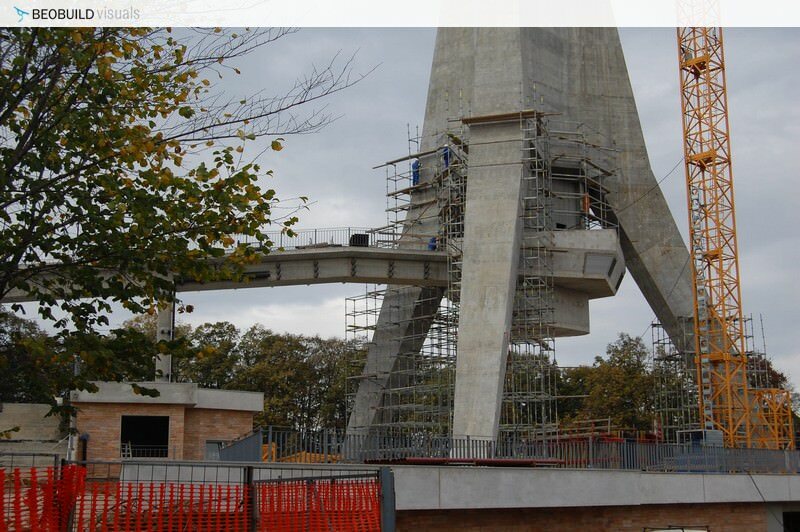 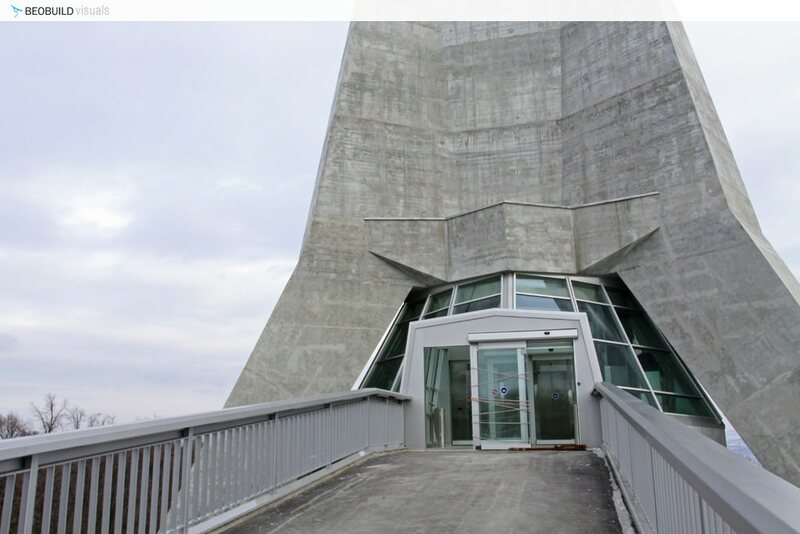 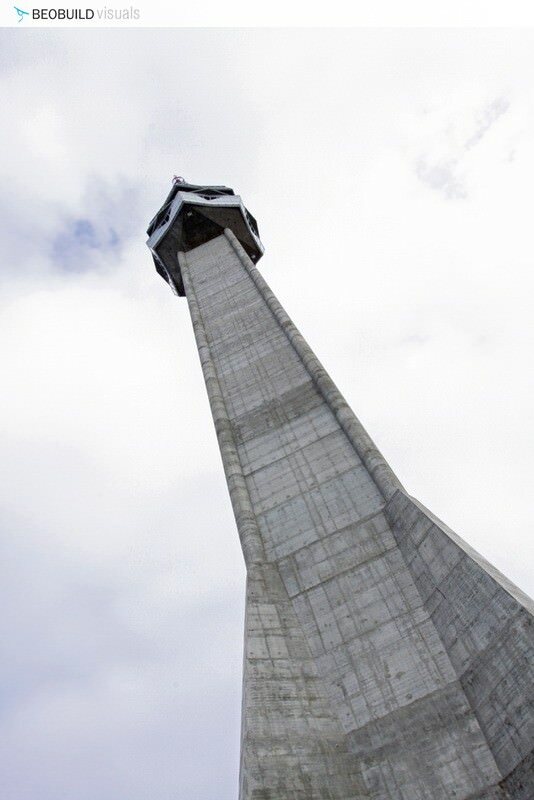 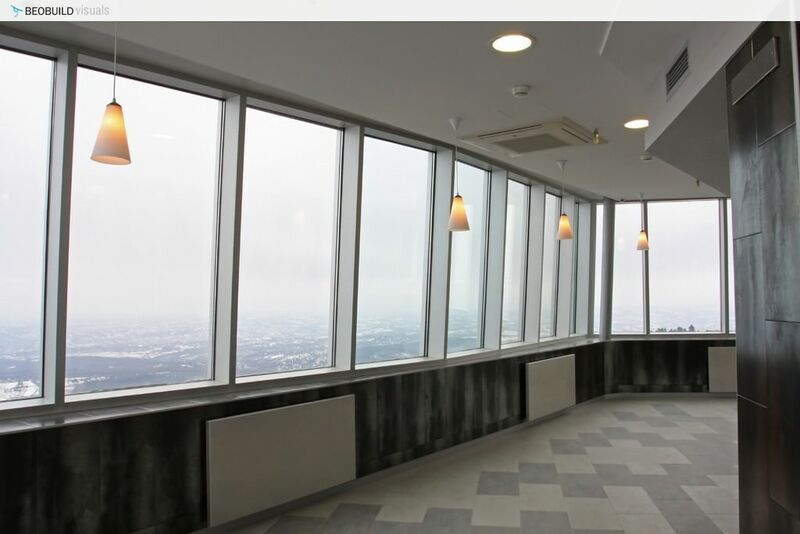 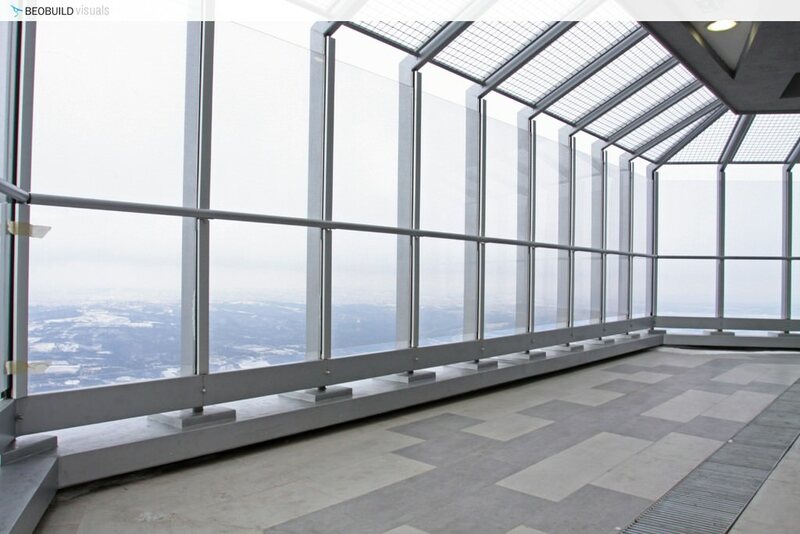 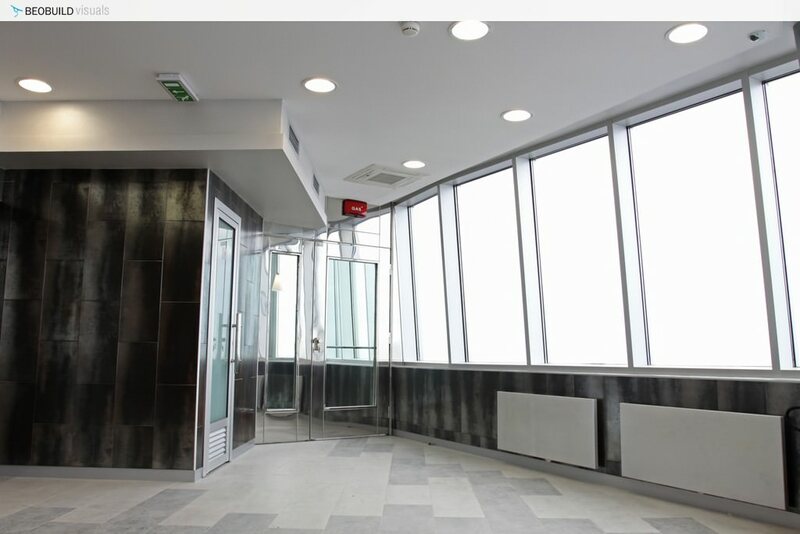 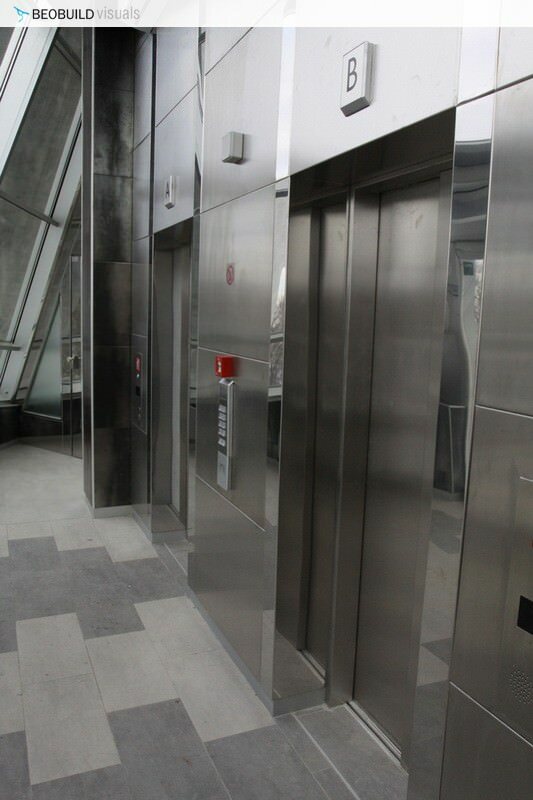 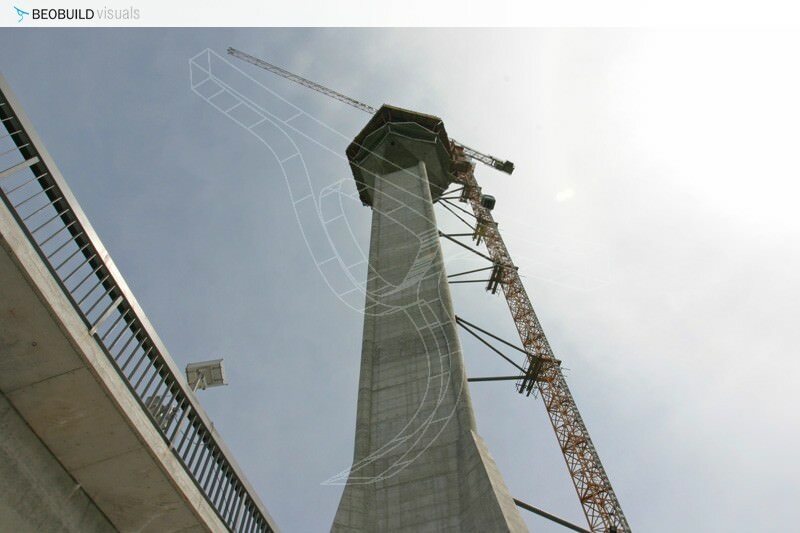 The incentive for reconstruction came from the Journalists’ Associations of Serbia and Association of Avala Tower Admirers. 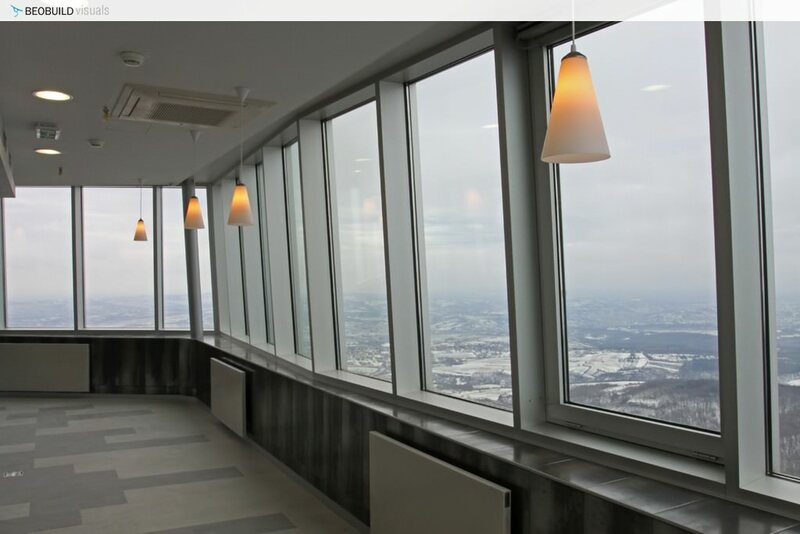 On the 119th meter there will be a ‘café’ with 50 places, kitchen and toilets, with high-speed elevators for visitors.The people will be able to enjoy the panorama , which in good weather can have field of vision up to 70 km.The entire tower complex will be arranged with pathways, flower pots, trees…so the location will become very attractive for tourists. 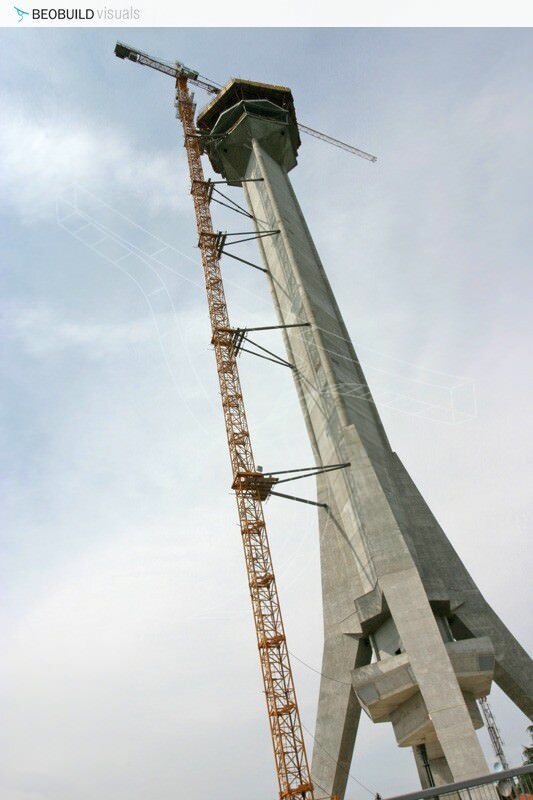 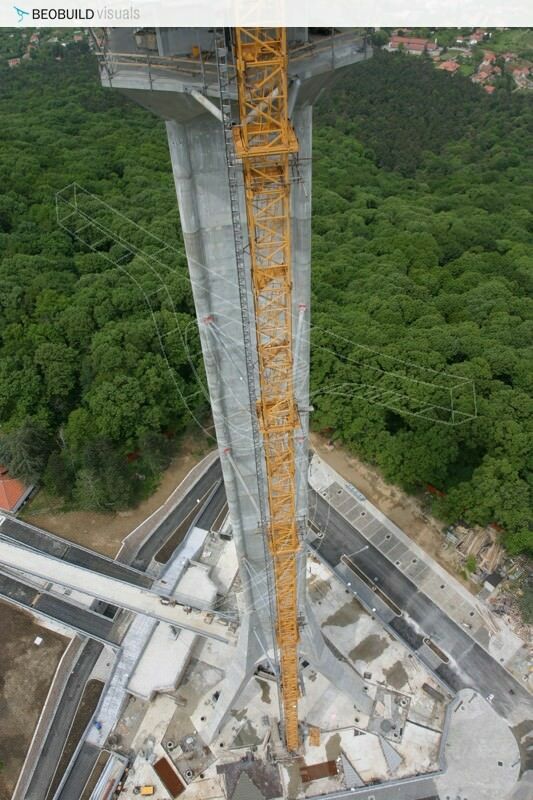 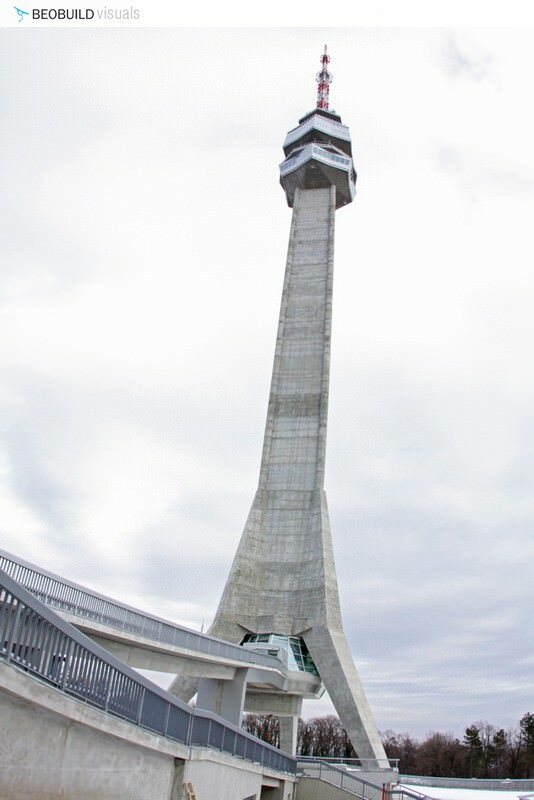 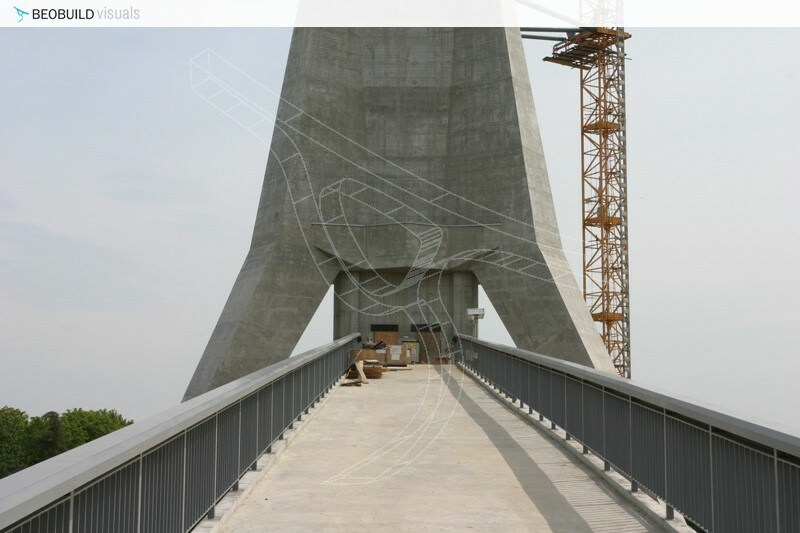 - 4000 tons of concrete was installed into it and it had 60 meters tall and 25 tons heavy antenna on the top. 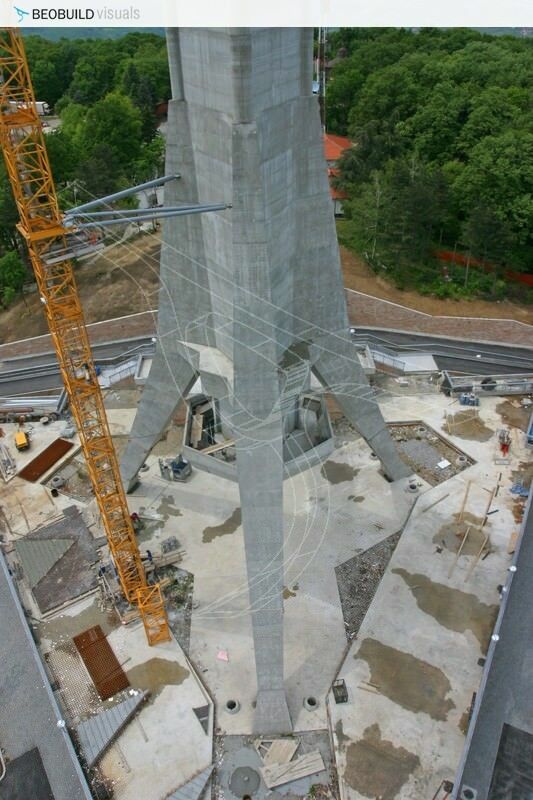 - The Tower was very unique; it was the only tower who had a triangle in its base and one of the rare ones that had 3 legs without direct reliance.